To know, firsthand, that nothing good ever comes of a cowardly act is to find the courage to say -- and to do -- what needs to be done in the moment, in spite of one's imagined fears about the outcome. The fall of fear begins with our heightened awareness of fear's presence. Out of this higher level of self-consciousness comes something as mysterious as it is grand: the spiritual intolerance of fear. This deep, nonnegotiable disdain for fear comes to us in advance of the powers we need to win our freedom from it. And the arrival of this supreme strength -- that ultimately leads to lasting self-liberation -- is one of the great mysteries surrounding our true nature. The following story illustrates the victorious powers we invoke when we take a stand against fear. I once saw a great western movie where a good sheriff had given up on the people of his frontier town. They were cowards. Not a one would take a stand against a band of evil-hearted bullies that had corrupted the whole territory. Frightened and defeated by events that seemed beyond his powers, the sheriff took to the bottle to hide from his own fears. Life was miserable. There was no peace for anyone. Also living in this same troubled town was a quiet stranger -- a man who didn't even own a gun, let alone know how to use one. But came a fateful day when, despite his deep and moral hatred of confrontation, he knew he could no longer hide. His life had become intolerable. It was painfully clear there was no living with himself if that meant he'd have to live the rest of his days in terror. And so, even though he couldn't get either the sheriff or the townspeople to stand with him, he called the bad men out into the street for a showdown. The next few scenes of this film were just tremendous. Let's review them to see what secret insights they hold, and how they can help us win our own showdown with fear. Just as it looked as though this hapless and helpless stranger was about to be cruelly gunned down to the ground, the unbelievable took place. All of a sudden, from all around him, shots rang out. A rain of bullets poured into the gang of murderous thugs. The quiet stranger was saved. And what about the bad men? Defeated once and for all in this showdown at high noon, it was the end of their reign of terror. But, what happened? How had good been empowered to win the day? Here's the story behind the scenes. Rallied by the courage of the stranger in the face of impossible odds, the sheriff and townspeople were moved to a change of heart. And when they came to his rescue, they gave him the powers he didn't have himself, but that he needed to win his struggle with evil. A happy ending to be sure. But this inspiring story from the days of the old west also reveals how your true nature can run any bullying fear out of your life. When you can no longer bear being pushed around by fears that never leave you alone, challenge them to show themselves to you. Call them out into the light, just like the quiet stranger did at high noon. Never mind if this makes you tremble. Those, and any other shakes, will be vanquished along with the rest of the inner villains by the friendly, but all-powerful forces of your higher nature. Your conscious refusal to accept fear as a part of your life invokes this nature to stand with you. And in this showdown, the outcome of the battle was long ago decided. Fear has lost. You win. Truth invites you to experience this victory for yourself. Starting to think differently towards your own fears is the same as learning to act differently towards them. Use these truths to help you begin thinking fearlessly. Higher actions will follow. 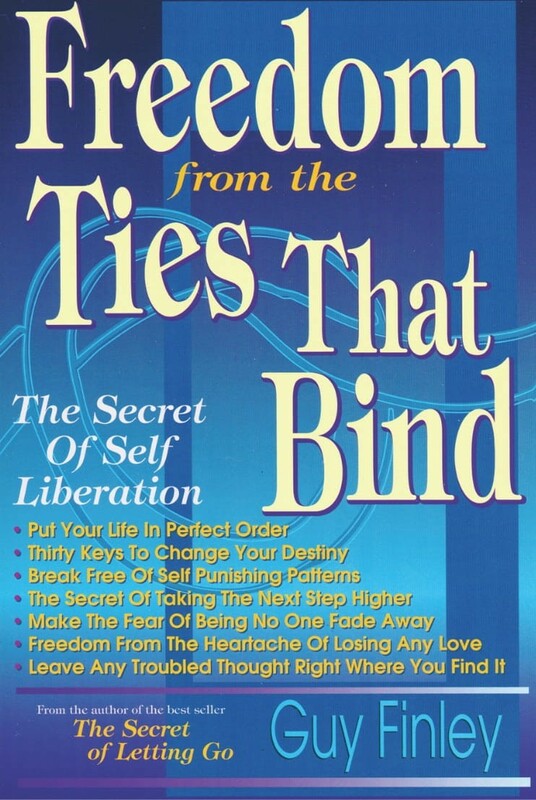 Excerpted From: Freedom From the Ties That Bind, pages 95-97.